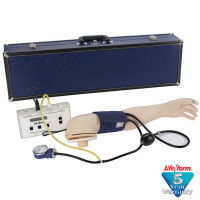 The Life/form Patient Education Tracheostomy Care Set is ideal for teaching patients and caregivers the skills they will need to perform at home. 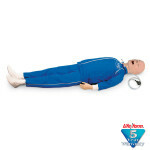 The Adult Manikin includes oral and nasal passages, the pharynx, epiglottis, trachea, esophagus, tracheostomy site, and cricoid cartilage. The mouth and jaw are flexible to allow oral suctioning. The trachea branches into the left and right bronchial trees. Students can practice suctioning techniques, proper cuff inflation, dressing changes, and other techniques. Cleansing and maintenance of the external tracheal site can be performed just as on an actual patient. The Infant Manikin can be used to teach parents and caregivers basic tracheostomy care skills, and is used extensively with children to comfort them and improve their self-esteem. 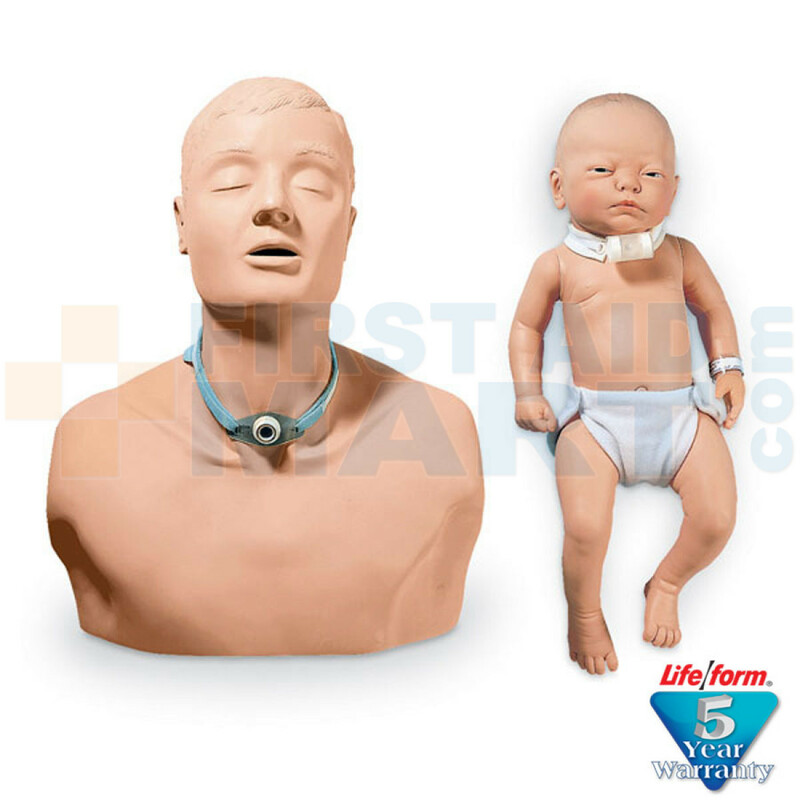 The Life/form Tracheostomy Care simulator set comes complete with one adult and one infant manikin, one adult and one infant tracheostomy tube, instruction guide, and hard carrying case. . 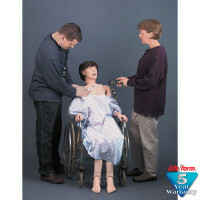 Patient Education Tracheostomy Care Set - LF01159U.